When I first started working with age-group and recreational runners in 2006, one of the biggest surprises to me was the amount of negative thinking and lack of self-confidence many runners exhibited. Unfortunately, I’ve found that not much has changed in the last seven years. 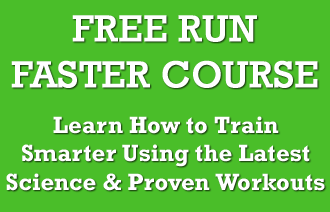 Many runners, both new and experienced, hesitate to participate in our our training community. When asked why, most respond that they are embarrassed by how slow they are. From a purely performance perspective, thinking negatively can inhibit you from achieving your potential. While thinking you’re slow may seem harmless, every time you preface a statement with the phrase: “I know I am slow, but…” you condition your mind to believe that you can never be fast. I’ve run under 29 minutes for 10k. I still get nervous about finishing last (in fact, I have the distinguished accomplishment of finishing second-to-last at two consecutive US championships), there’s still lots I don’t know about training, and I have had more than my fair share of bad workouts, injuries, and poor races. Unless you’re Kenessia Bekele, Mo Farah, or Galen Rupp, chances are there is always going to be someone faster than you. Fast is relative. I get it. You run 12 or 15 minutes per mile and are embarrassed to call yourself a runner because lots of people are faster. Here’s a secret: “fast” runners feel the same way. In a recent conversation with former professional runner Ryan Warrenburg, he discussed how he’s hesitant to call himself an “elite” runner. Ryan has run 13:43 for 5k – I’d call that fast and worthy of elite status. Do you know where his time ranks him in the world? I don’t because it’s way outside the top 500 (sorry Ryan). I hope you can look at some of these stats and insights from runners who are “fast” and realize speed is merely a state of mind. Once you can reframe your thoughts on your speed and potential, you open yourself up for great things to happen with your training and racing. very enjoyable read. thanks for the thoughtful positivity! I love this article. It would be interesting to add in some perspectives from more elites. I had the opportunity to meet Amy Rudolph – at ZAP – and I asked her how the last mile of a 5K felt. I believed that elites were so well trained and so physically strong that they just powered through. She assured me that she wanted to die at that point, just like everyone else. One more thought – a wise ultra marathon friend once told me, Dead F’ing Last is better than Did Not Start or Did Not Finish. I always refer to myself as a “pretend”runner! I had a friend share this article with me today as I mentally prepare for my first 5k Saturday and I couldn’t have asked for a better one! I am more ready now than I ever thought possible and know that no matter where I finish the point is that I finish!!! I always thi k of how slow I run and question am I really a runner. I took I’ll in febuary and haven’t been able to run as well as before. Me feel I’m ok running at my pace. Thank you for posting this article! Do you think 5 minutes on a km is slow I am currently running 8km 38;19 just under 5 minutes on n km? I’m pretty sure you know the answer to that question in the context of this article. I ran my first marathon a little over a few weeks ago. I was very disappointed with my time and every time someone asked me how it went, it sounded almost like I was apologizing. I had the feeling that I wasn’t a real marathon finisher, because I did not run the time I wanted (which was 4:29:20). Fast being relative is exactly right, though. There were faster runners, but there were also slower runners, but we all finished it! I, too, need to stop disqualifying my achievements! My mindset is positive and I have over time improved to be a better runner. I actually feel that positive thinking makes my feet lighter during a race or hard workouts. When I workout I always raise my hand to greet fellow runners, because thats the kind of place I want to live in. Wow…I am so guilty of this!! Really changed how I think about myself…thank u so much!! I think I need more pep talk. It doesn’t really bother me to be slow or to finish last in smaller races. In large races there are always sevral folks slower. But, (1) I hate to overstate my accomplishments and (2) I keep running into events that have time limits that I can’t achieve. The positive factors that keep me going are the obvious benefits from running – blood pressure, weight, etc. And yes, I do enjoy the feeling when “real runners” seem to take me seriously. I think we all live I this state. Our eyes only see the runners ahead of us, not those behind us. I hurt my knee in my first 1/2 and had to give all I had to finish it. Finished last in my age group (25-29). I felt shame instead of joy for finishing my first 1/2. 7 years later I picked up running again and beat that time by 1/2 hr. first marathon I cramped out at 18 and finished 45 min behind my goal time. I moaned and complained to my wife, who reminded me I finished a marathon with every excuse to quit. I still feel the need to justify my marathon, when in reality no one else cares as much as I do. My second is coming up next month using a plan of Jeff’s on Runkeeper, and I feel confident of setting a significant PR, but really, no matter what I know what I have put on the alter of the running gods, and my work is more important than my time. On a bad run day I think of an article I read once that talked about a guy’s first five miler, the anguish and joy at the end. He stated “how many people have ever even ran five miles?” It’s true, just running is the great a complishment. Thank you so much for this! I too always say I’m not a real runner. And I really am slow. I still run/walk and some people walk faster than I “run”. But I’m improving – from a 16:30 mile pace to now a 14-something pace, running more and walking less and less, and I’ve increased my distance on any given practice from 2.5 miles and feeling like I want to die doing it, to 4-5 miles and liking it. I’m proud of myself and the fact that when I hit 2 miles last night, in a gross humid evening with t-storms looming, I didn’t turn around and go home, because I didn’t want to. I just kept going and at the end it was 4.5 miles! And while I never finished last before, last weekend I did a 5K (the day after coming home from Nigeria with various skin and intestinal infections) on a very hilly challenging course and even though I got a PB on it, I finished DEAD LAST. With my very own motorcade. I was so embarrassed, but at the same time the number of runners who waited for me and cheered me at the very end and congratulated me made me cry. In trying to be philosophical about it… someone has to be last. It might as well be me. Like others have said, at least I was out there. Honestly it doesn’t get me over the hump of humiliation for finishing last, but I won’t always be last. And even if I am, well, it didn’t kill me to be last, I survived finishing last before, I will survive it again. 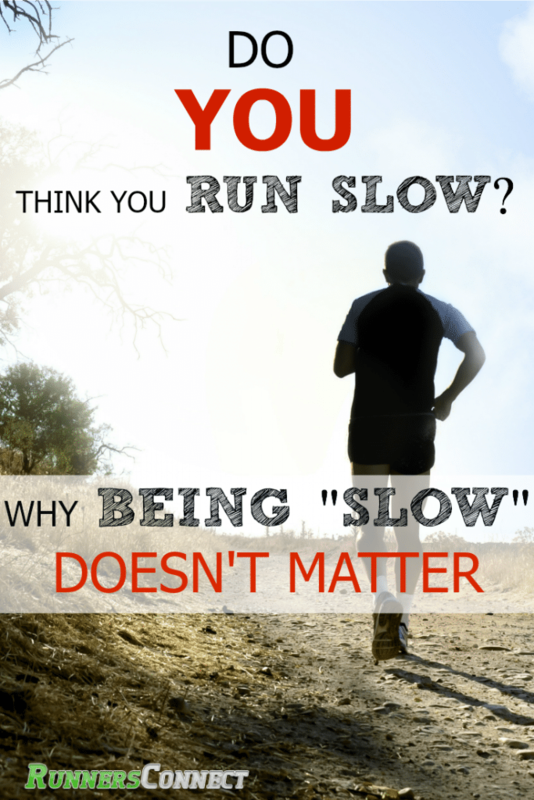 I have never had a problem with being a “slow” runner. I do about a 12m/m slow run and a 11m/m regular run. I do want to say that the running community is the most accepting bunch of people I have ever had the privilege of being a part of! Thank you for this article. I AM A RUNNER. I have completed 2 half marathons since March 2013 and many 5K, 8, 10K and 10 milers in between. My speed averages 12:30 to 13.30 depending on the race. My times have improved since I began two years ago. I do get frustrated when I don’t meet my own set goals. I have never been last in a race, always finished and have PR’d several times. The groups I run with are much faster and very accommodating. I am 65…I AM A RUNNER!! I came in second in my age group (W70 +). The gal that beat me was a mere 72 years. She is fast – came in second over all in age graded results. I take my hat off to her. I got an award for being the oldest finisher! At age 85 I’m still going strong, even if not fast. I do wish there would be more articles from professional trainers focused on us turtles, whether it is due to physical limitations or age. my wife and I just finished a half-ironman in key west a few weeks ago. when people asked our times, we apologetically said “just under eight hours”. a friend of ours who is an Ironman winner finally cornered us and congratulated us wholeheartedly for finishing under our goal time (and cutoff time!) and for me placing third in the 65-70 yr age group (ps they were only three of us in the age group). What was wonderful was the runners all encouraging each other during the race, and the full iron competitors cheering the half-iron ones on during the race…”to finish is to win” the volunteers and the directors of the Bone island Tri treated all of us with the ultimate respect just for being there….it is true….whether you are running an ironman or the local 5k, you are so far ahead of all those couch potatoes, you will never finish last! Roll on!! This makes me feel like I’m running with the wrong people…they leave me behind when I’m not keeping up with them and tell me I should just stop because of my pace. I just started running in January and can’t keep up very well, but like to run with someone occasionally (once every week or two) instead of by myself every day. This article made me feel so much better! I lost a lot of my speed after some health issues and have been beating myself up about it for the last year. I’m definitely going to focus more on enjoying the run rather than fretting over my speed. Thank you for this thoughtful insight! I was or still am not a very good runner, but reading this made me see that I have never ran to be the fastest it was never going to happen. I ran to be part of something, to belong, to see friends, and know that after the race was over we would still be friends. I lost running for a long time when I joined the Air Force, but I am starting to get back into it and am starting to get my center back. I still think I am slow, however that is what is pushing me every time I go out to run. Taking 5 to 10 seconds off my 30 minute 5K time in what I call “Running 2.0” is just as exciting to me now as when I was running a 10K in 32:57 when I was in my 20’s. I will never get back to where I was back then but I am in my mid 50’s now and am starting to enjoy getting out there and running just for the sake of running.